This entry was posted in Blog and tagged drop, extra-ordinary, kabam, kingdoms of middle earth, KoM, mines, mining, scholar, scroll by beardmonkey. Bookmark the permalink. When mining, the scrolls seem to have been left out. Scholar scrolls still drop from ex-mines. But, compared to the number we get from other sources, is minimal. You might get 10-20 a week from ex-mines, but maybe 2-3k a week from other sources. This is only for Scholar Scrolls, too. 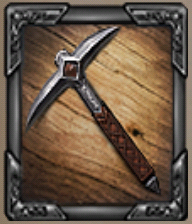 Bachelor scrolls do not appear in mines. btw, what the hell sources are you speaking about when getting 2-3k scrolls a week? Heavy heavy spending is all I can think of? Or constant heavy mining and spending thousands of tokens on premium? I just got a scroll on 246.